Are you engaged and need marriage advice? 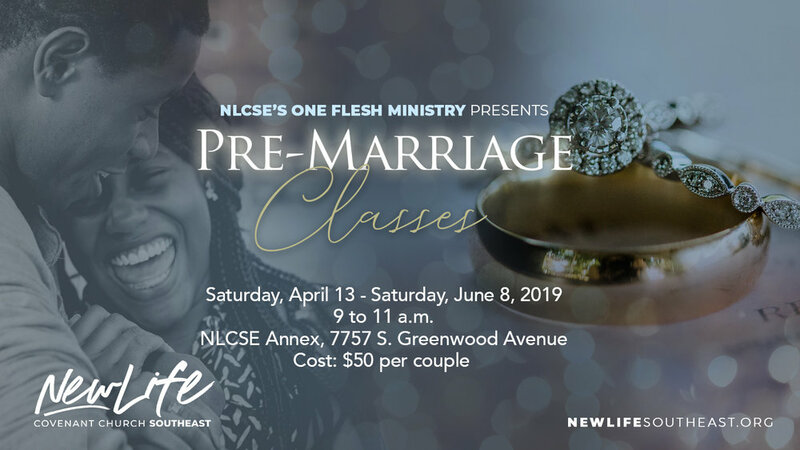 If so, please join us for NLC’s Pre-Marriage Classes hosted by NLCSE’s One Flesh Marriage Ministry starting Saturday, April 13 to Saturday, June 8 from 9 to 11 a.m. at the NLCSE Annex, 7757 S. Greenwood Avenue. Couples get real world instructions on marriage before they say, “I DO.” Instructors utilize real life experiences, God’s word, and prepared lessons to enhance a couples chances of a successful, Godly marriage. Cost: $50 per couple.